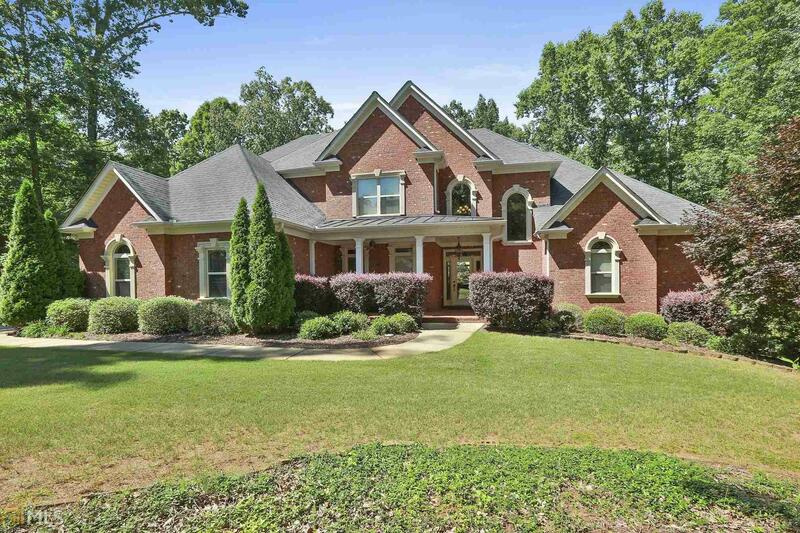 Gorgeous 5 bedroom, all brick, 2 story house on a finished basement, offering over 5000 sqft. Stunning expansive front yard, 3 car kitchen level garage, bonus oversized front porch with ceiling fan. Large separate dining room, vaulted ceilings in great room with feature stone fireplace. Beautiful kitchen with ample worktops, garbage disposal, island, wall oven/microwave and stainless steel appliances. Open plan kitchen living space with second feature stone fireplace and tons of natural light. Enormous master suite, separate shower, his and her vanities, large tub, and plenty of closet space, complete the 1st floor. Finished basement offers all the trimmings with full bath, bedroom, theatre room, bar/living space. Back deck off main with spectacular views.